We had the SWEETEST Trick or Treaters ...How cute is that ,they were Darling ! Christmas Open House is 14 days away , and Treasures are already appearing. We are all BUSY getting ready for you. The countdown has begun ! Yes, that is the line to get in ,it keeps going on the other side of the break for emergency access. A GREAT turn out. What a WONDERFUL Show ! My friend Robin and I had a GREAT time. This is just a few of the booths....Romantic Farmhouse...Re-Purpose... Tattered Cat...The Painted Fern... So many great booths , some had so many shoppers that you could not get in to see the TREASURES or even take a picture. Going back on Sunday to pick up a wonderful bin cupboard that I just had to have for my work room. Maybe I will see you then.... THANKS to Country Living for bringing this GREAT Show to Atlanta. 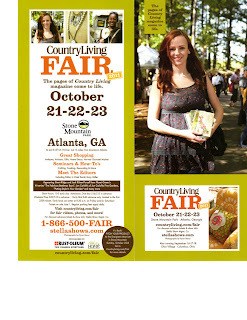 The girls are so excited.... Set up for the Country Living Show is a week away ! They have spent weeks preparing and CREATING FABULOUS TREASURES ! I can not wait to be INSPIRED. A special thank you to all the 200 dealers who will be there , as a Shop owner I know the hours and long nights that they have spent. As shoppers lets make this a GREAT SUCCESS for them ! SHOP TILL YOU DROP, GIRLS !!!!!! Be sure to mark your calendars for November 11th and 12th. 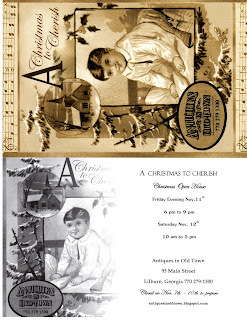 A CHRISTMAS TO CHERISH We are busy planning ahead....lots of preparations to be made for an extra special Open House. The shop will be closed from Monday the 7th until Friday the 11th at 6:00 when we open our doors to welcome you. Fall flowers from my sweet little shop home. Last year we moved from our 1895 circa home . We now abide over our Shop on the second story, about 200 yards away. At first it was hard adjusting as the shop building is also 100 years old and nothing is even or square, unlike the house which Hugh leveled and restored. A CHALLENGE for sure to level furniture and hang pictures. We are now replacing the backside windows and still have walls to fix and the kitchen area to finish. You will all hear me REJOICE when we finally get the stove installed in the pantry. I have been using a hot plate and a microwave....I so miss baking and hope to be able to cook a Turkey this Thanksgiving. I now love living upstairs...It is HOME SWEET HOME. I have a wonderful craft room to create in...a little hideaway. I do miss my yard, but we will be adding a two story front porch soon. Can we say Container Planting....I can be dangerous. Love doing them ! 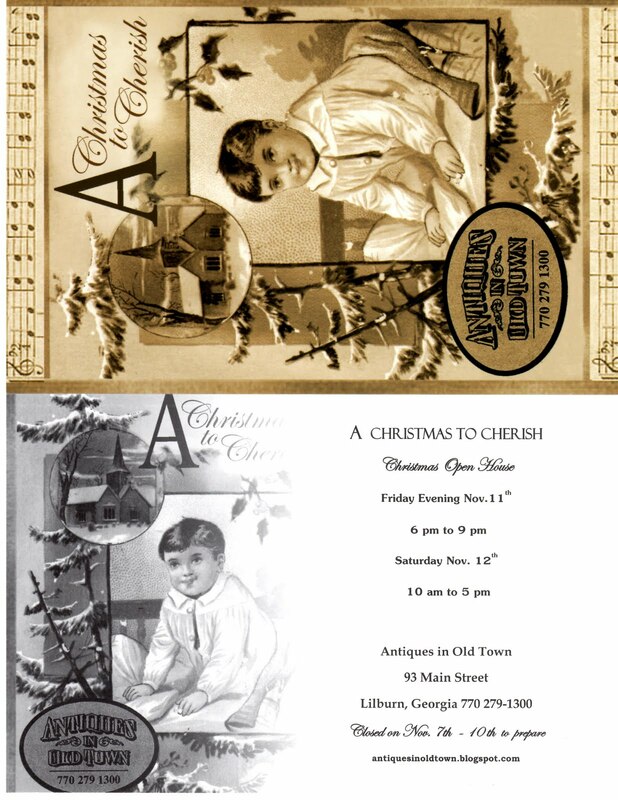 Tomorrow is our annual craft fair...Lilburn Daze...we expect several thousand people...So much fun ! Doing lots in the Shop, more pictures soon...promise !